On a sunny day in February after 6+ months of preparations, the TechChill team was about to open the doors and kick off TechChill 2019 – and the atmosphere was brimming with excitement. 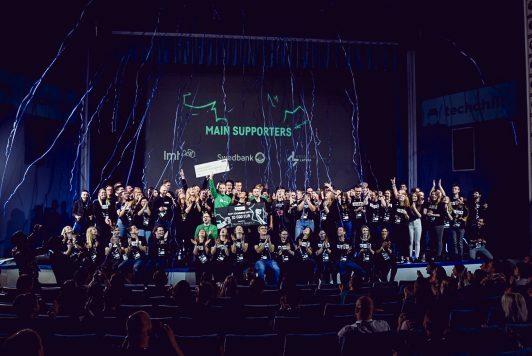 Join us in looking at what went down during the two days and the facts and numbers that made TechChill 2019 possible. Every year for 8 years TechChill brings ecosystem players from all around the world under one roof to talk shop. And this year was no exception. 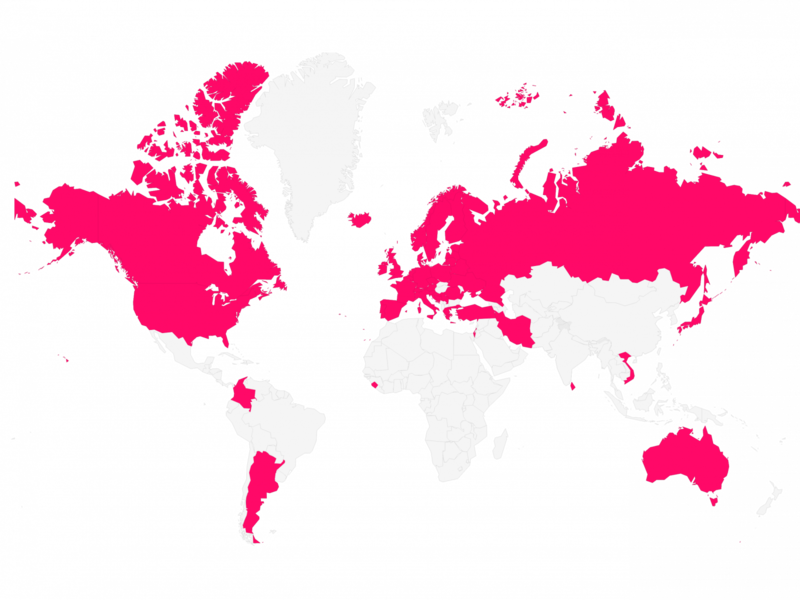 2077 attendees from 49 countries made their way to Riga, including 440 startup representatives, 136 international investors, 110 students and academics, 77 media representative, as well as 46 corporate executives – and that’s not to mention the 1179 general pass holders and 6687 people tuning into the live stream. Moreover, it was an international team of 120 volunteers who made this happen. Some came for learning and inspiration, others for connections, most benefited from both. With stage agenda featuring 89 speakers, 32% of which female, highlighting topics on the human side of tech from impact investing to mental health – there was definitely plenty to see and experience. Beyond the stages, we wanted to make sure that in a tech scene with a lot of moving parts relevant people find each other – and we couldn’t be happier about the thousands of meetings that were organised via the Talque app. That’s just the tip of the networking iceberg as it doesn’t account for the impromptu meetings and chats filling the halls of the venue and connections made at the 20 official side events – truly cementing TechChill, not as a place for quick hustle, but a platform where seeds are sown for deals that will blossom months or even years down the line. Since shining a light and supporting the success stories of the Baltic tech scene is one of the driving forces behind TechChill Foundation – we were more than happy for the opportunity to invite 77 international media representatives from 15 countries and coordinate over 70 interviews bringing topical stories from the region to a number of leading tech media channels – The Next Web, Wired and Sifted to name a few. Some of those success stories could be found pitching at the Fifty Founders Battle where from 194 applications and 50 semi-finalists – the lucky winner Precision Navigation Systems (Est) took home the main prize of 10 000 EUR with no strings attached and got fast-tracked to the Silicon Vikings Startup World Cup Finals in San Francisco. While ZITICITY (LT) received a soft commitment of 50 000 EUR by a syndicate of 22 LatBAN members. Keep an eye on those startups because if history shows anything it’s that TechChill Pitch Competition winners are in it for the long haul. TechChill wasn’t just a playground for the established ecosystem players. We wanted to make sure that those interested in the tech and startup scene have a way in. One such way was by providing for the first time ever a student and academics pass for a more affordable price. 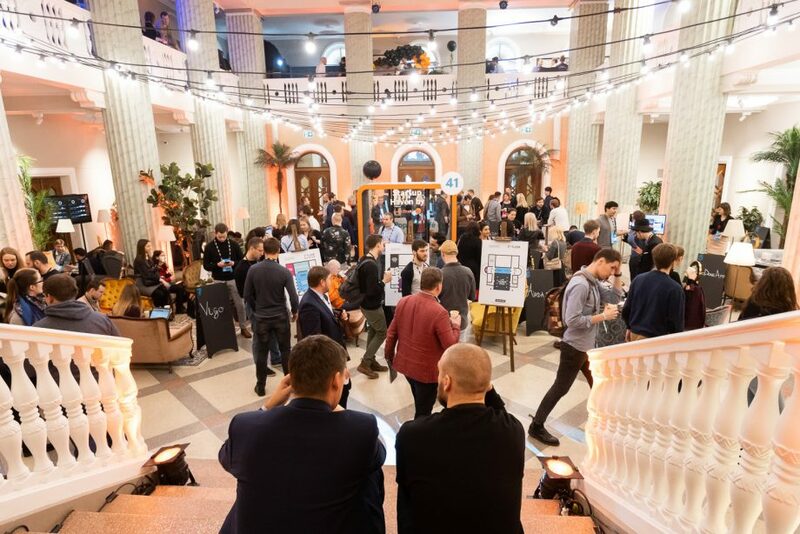 Over 110 attendees took this chance and made their way to TechChill 2019 and got to experience the vibe first-hand. Some of those connections led to internship opportunities and alleviating the lack of talent issue for startups. While the youngest attendees, 60 soon-to-be entrepreneurs from ages 0 to 12 met at the Future Founder Playground, where they could take part in workshops geared towards their age group – learning to program, explore VR and other newest tech, while the parents got a chance to have a break from the hustle and bustle. As often is the case throughout the day the conference overflowed outside to take advantage of the winter sun. Colourful badges covered the area in front of VEF Culture Palace, grabbing a snack from the Street Food outside, cards swapping as plans are made for the evening. Making plans was easy during TechChill 2019 with not one but two official afterparties planned for the two days, aimed to help cement new friendships and exchange impressions from the TechChill week, and for those willing – make themselves heard at the karaoke stage. Conferences don’t change the world, people who attend them do – and that was what TechChill 2019 was ultimately about. Filled with those willing to take a chance and see where serendipitous connections would take them. We are proud of the continuous support by our main partners Latvijas Mobilais Telefons (LMT), Swedbank and Magnetic Latvia. 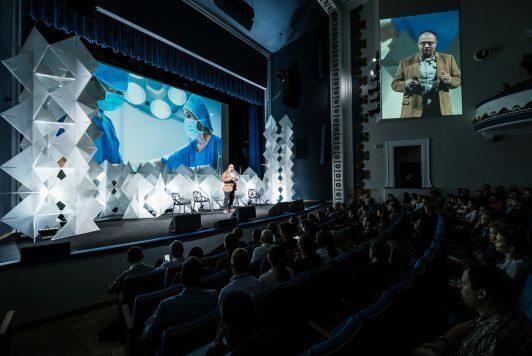 TechChill 2019 and the Baltic startup scene is supported by Accenture, TWINO, Printful, Karma.vc, Taxify, Adyen, TestDevLab, TechHub, RGSL, LIVE Rīga, Altum, Practica Capital, Tilde, AJ, AkzoNobel, and Cobalt. Our friends are SAMSUNG, Ethos, aws activate, Institut Francais, Mežpils, Grimbergen, Mailigen, Kingdom of the Netherlands, Nordic Council of Ministers Office in Latvia, Rixwell, Days Hotel, Wellton, RIJA Hotel, Parrot, WebDev, JCDecaux, Caffeine, Norden and TrueSix. Our media partners are DELFI, 150sec.com, The Baltic Course and Labs of Latvia.